A few years ago, we wrote this song at my school to remind children to be kind to each other in how they communicate; both face-to-face and through texting/emailing and other online forms of communication. We have been singing it in assemblies ever since and it is a useful reminder when dealing with behaviours which go against the message of the song. You can listen to the song, see the lyrics and download all the related files for free in this post. But words don’t hurt at all. But words stick with us longer. We make our friendship stronger. I try to think them through. Our texts; they live forever. Or see you feeling down. And sad times turn around. I know they should be true. To make sure I don’t hurt you. 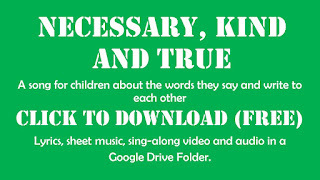 I've put the lyrics, piano score, audio track and sing-along video in this Google Drive folder for you to download for free and use as you wish. After reading Making Every Lesson Count, written by secondary teachers, Andy Tharby and Shaun Allison, I was delighted to be asked to co-write a primary version of the book with my colleague, Mel Scott. We took the six principles discussed in the original book and put a primary spin on them, including examples from across the primary age range and curriculum. We discuss challenge, questioning, feedback, modelling, explanation and practice in detail, referring to relevant research throughout and giving strategies embedded in classroom examples. The book features ideas and comments from Michael Tidd, Adam Nicholls (@TeachMrN), Jim Smith (@TheLazyTeacher), Doug Lemov, Pie Corbett, Rob Smith (creator of the Literacy Shed) and many of our wonderful colleagues, as well as illustrations from Jason Ramasami which complement our points. Click image to order on Amazon. "Making Every Primary Lesson Count is a boon for all those interested in honing their classroom skills through finding out more about the science of pedagogy. It uses key research to produce a range of practical tips and ideas which have clearly been used effectively in school settings. This book is both engaging and highly readable." Primary Education Consultant, Trainer and Author. "This is a highly accessible, practical book for primary teachers with constant reference to relevant, current, powerful research evidence. Its framework , as chapter headings, provides an essential underpinning of what matters most: challenge, explanation, modelling, deliberate practice, questioning and feedback. The authors have taken all that we currently know about children’s learning and woven it into highly practical writing. Each chapter begins with two real life scenarios which are then fully analysed and developed. We are shown not only how key research tells us how we need to teach, but are also given a range of well sourced practical strategies and ideas. The book has several threads which run through the writing: the ethos of a growth mindset and the importance of struggle, the framework of formative assessment, high expectations for all with no false ceilings and the necessity of clarity, practice and modelling. This book, if followed, will go a long way to helping teachers, as the authors say, ‘Guide children towards independence’." 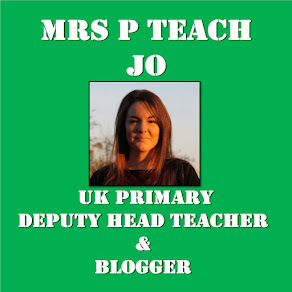 "In Making Every Primary Lesson Count Jo and Mel have done a great job of bringing together research and practice for primary teachers. Every chapter contains useful strategies for creating a more effective primary classroom, making good use of the best theory and research without ever forgetting that primary teaching is essentially about the relationships between teachers and their students in the classroom. New teachers will find it a great source of ideas for tackling the key aspects of great teaching, and more experienced teachers will recognise much and pick up a few new ideas along the way." "I really like two specific things about this book. The first thing I really like is that at the book’s heart is a list of six important considerations. The discussions around these educational touchstones create a very useful guide for any teacher which transcend top tips and quick fixes – the reader is invited to think. The second thing I really like about this book is that it is written by two teachers at the top of their game. Mel and Jo have produced a book that avoids empty preaching and instead offers relevant signposting for the hardworking teacher of today. An important addition to the Primary teacher’s bookshelf." "Filled with relevant anecdotes and practical examples, Making Every Primary Lesson Count explains in detail how to get the very best from every pupil in your care. More than that, it will make you reflect on the visible difference you can make as a teacher. Now more than ever, this important book will help shape lessons from being dry and functional to serving an actual purpose." "Using the familiar format of Making Every Lesson Count, Mel and Jo have brought a practical wisdom, rooted in primary classroom practice and experience, to this excellent book. A manual and guide for primary practitioners, the values of excellence and growth have been exemplified in each chapter and invaluable guidance given. Whether you are beginning your teaching career or looking to review and renew your practice this book will help, support and challenge you in equal measure ... keep it to hand rather than at the back of your teacher's cupboard." 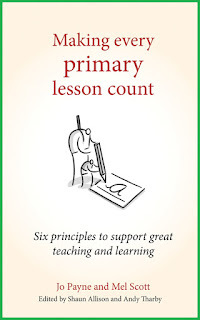 To order Making Every Primary Lesson Count, click here. To order Making Every Lesson Count, click here. To order Making Every English Lesson Count, click here. To order Making Every Science Lesson Count, click here. After three years of teaching reading without using the guided reading carousel, we decided we needed to change the structure of whole-class reading lessons to get more out of the class texts. This change was inspired by three things: the rigour of the 2016 reading KS2 test and the heavy focus on vocabulary for understanding, Reading Reconsidered by Doug Lemov, Colleen Driggs and Erica Woolway, and this blog post by Nick Hart. I met with Jess, our Y5 leader who is in charge of reading, to discuss how to move forward with whole-class reading in our school. Jess had completed some observations across the school so had an idea what was happening in different year groups. I had recently read Nick Hart's blog post and Reading Reconsidered so these drove our discussion. We talked through some options and put our plan into action. We've been teaching using this new method since January in Y4 and Y5. The other KS2 classes took it on after Easter. How does the new method work? The aim of this new method is to expand pupils' vocabulary and deepen their understanding of the texts they are reading. We do this through explicit teaching of vocabulary before reading the text and re-reading sections looking closely at the elements which require further understanding, keeping in mind that children must learn to retrieve information (R), interpret meaning (I) and comment on the author's choice of vocabulary or style (C). Questions check pupils' understanding of previous extracts as well as the current text in order to enhance their memory. There are three main elements to this. Explore - pupils spend time decoding the words, finding definitions in dictionaries, writing sentences using the new words. Teach - teachers clarify the meaning of words which will be encountered in the text using images, drama, actions and sentences of varying contexts. We explore links between words children already know and try to include the new vocabulary with prefixes, suffixes, synonyms and antonyms. Practice - teachers use various methods to revise the words previously learned: matching words definitions, providing definitions, images, missing letters, sentences from books with the word missing. 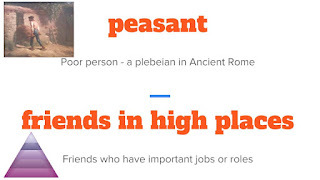 Often, different words are used for explore and teach. Some words are displayed in class to be referred to across the curriculum. A huge array of activities are used to teach, explore and practise vocabulary; it really is so important to pupils' understanding of the texts they encounter in their own reading. The choice of texts is absolutely key in this. Previously, we had chosen some texts because they linked perfectly with our themes and topics. We had to be really honest with ourselves about some of the texts we use and we decided some simply weren't challenging enough and others were easily understood. For these texts, the lessons we were teaching were superficial and not really teaching the pupils much. The Y3/4 and Y5/6 word lists form the basis of how we choose texts and the Amazon "Look Inside" feature is really useful for checking multiple texts quickly. We aim for a text to be challenging and accessible for all so we are not looking for something pupils can easily read and understand already. This is something we will continue to improve and check as we consider the books used throughout the year in each year group. We may have to replace and rethink further text and topics. 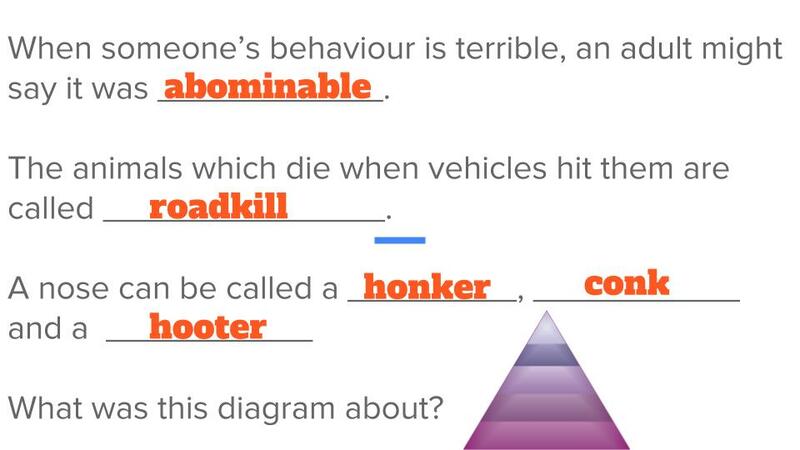 Vocabulary - Teachers explicitly teach the vocabulary which pupils will encounter in this week's text. Reading - Teachers read aloud the text with pupils following along in their copy. The text is often a whole chapter (or two) of the chosen book. Mostly, this is done without stopping so children experience the text as a whole. Often, they spot the words mentioned in the vocabulary teaching earlier in the lesson. Summarising - Pupils write a summary of what they have heard. This will be a personalised task. Some children have prompts to help, some summarise orally or reread the text with the teacher, some use bullet points, some use full sentences, some include quotations, some challenge themselves to summarise without looking in the book, some are given summary sentences and they must fill in the gaps. Close Reading and Discussion (Notes) - The pupils take turns reading aloud and the teacher enables analysis to take place through questioning. For this part, the section to be read aloud is an extract from the chapter(s) read in lesson one; generally, the extract which is most difficult to understand or has the most to be gained from discussion. Pupils make notes on the text to help them understand further and answer questions later. At first, teachers must model note-taking slowly and carefully, explaining how and why we take notes. Reading Aloud - Pupils read the extract aloud independently or in pairs. Some children can read with the teacher or, if you have one, a TA. This is where we encourage children to use expression and perform the extract, especially if it is a poem. They really enjoy this part and the room is buzzing with excited voices as they read to their partner or group. Questions - Children use the notes they've taken on the extract to answer questions about the text. These questions tackle all of the written curriculum objectives across a text but may focus on one objective for an extract. Again, some children can start working on this with the teacher to support their understanding before working independently. Occasionally, we still use RIC activities when they are appropriate; for example, to explore a front cover of a new text or to gain some knowledge which will help with understanding the text. Quizzes are used regularly for retrieval practice, to remind children of what they have previously learned about words and the text. Also, we have sessions which are based on non-fiction texts and poems which complement pupils' understanding of the text; these are mostly structured like our old whole-class reading lessons. We are continuing to have 30 minutes of quiet reading twice a week and are monitoring the books that pupils read. In order to finish a book in 6-8 weeks, we read alternating chapters for pleasure between these lessons. You can view a sample plan for Y4, based on the book Romans on the Rampage by Jeremy Strong, by clicking here. The slideshow below goes through one week's worth of lessons based on Chapter 6 of the book. It has some practice, vocabulary and question slides. 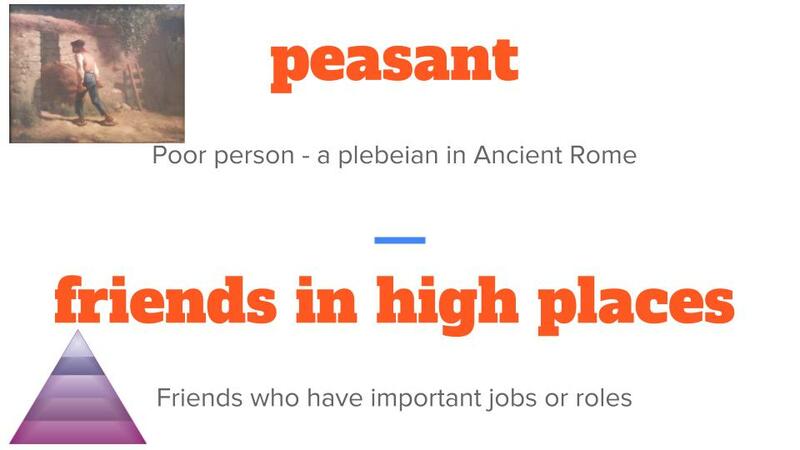 The biggest impact has been on children's vocabulary. Pupils have remember a vast majority of words taught, are quick to recognise them in other contexts and use them orally and in their writing. This was one of the main reasons for changing methods so we are really pleased with this. We were worried about how children would respond to the close reading part of this method and writing notes on an extract. This was something we didn't experience until we were at secondary schools. However, after some slow modelling of this over the first few weeks, children are now confident in making notes to enhance their understanding. Our next step is to look further at the structure of the second lesson and see if there are some changes to be made to further improve our teaching of reading. If you are interested in tweaking your teaching of reading to include any of these strategies, I'd highly recommend you start with Nick Hart's blog post and Reading Reconsidered. They are must-reads for anyone interested in the teaching of reading.